To navigate this website use the menu options at the top of this column. To return to a previous page you may also use your browser's back button or the back button at the bottom of each page. If you cannot find what you are looking for try the site map link at the bottom of the page. We welcome links and you can enhance your own site by linking to us. Click the link below for details. "I insist that you shall write whatever comes first, - what you see, what you read, what you hear, what you admire, what you dislike; trifles, bagatelles, nonsense, or, to fill up a corner, e'en put down a laugh at full length." 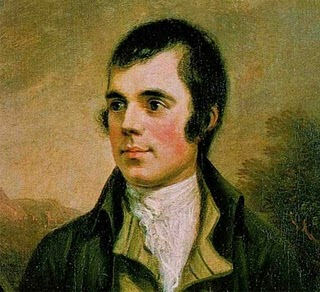 Welcome to the website of the Alexandria Burns Club where we meet to celebrate the life and times of Scotland's national bard, Robert Burns. It would be too ambitious for us to provide a definitive Robert Burns biography on these few pages. His life and works have been already been extensively catalogued by many great writers so this mini biography provides only some basic information about Burns life. Very many books have been written about the bard during the last 200 years or so, some good and some, well, some not so good. If you would like a complete biography of Burns you can chose from the many you will find by searching for "Robert Burns Biography" on Amazon UK. If you are researching Burns' work you will find useful information on our Robert Burns Resources page. Apart from being a fascinating person, Burns was, in my view, the greatest poet who ever lived. He was born on 25 January 1759, the son of a poor tenant farmer or "Cotter", William Burness. William was born in Kincardineshire in the north east of Scotland in 1721. He left there and moved around looking for work for a few years. He worked as a gardener in Edinburgh before eventually settling in Alloway, Ayrshire. He married Agnes Broun and on 25 January 1759 his son Robert was born, in the mud and clay cottage that he had built with his own hands. William quickly recognised that Robert was bright and despite being very poor he somehow managed to forge out an education for him and his brother Gilbert. Robert developed an interest and aptitude for literature at a very early age and arguably, as a young man between the ages of 24 and 29 when he was at his most prolific, he produced most of his best poetry and songs. Most people worldwide will know at least one of his works, "Auld Lang Syne". Young Robert's father encouraged his interest in literature and poetry and he became very highly educated for someone of his lowly class. As his work became well known throughout Scotland he was feted by the gentry in Edinburgh who had quickly recognised his unique talent. An lea'e us nought but grief an' pain for promised joy. The famous American writer, John Steinbeck, used this as the title of his work "Of Mice and Men" and many more lines from Robert Burns' work have become part of everyday speech. One story that I like is that the Mexican term for Americans, "Gringos" was picked up when they heard a US cavalry marching song, Burns' "Green Grow the Rashes O". This could well be true because about eighty Scots mercenaries were employed during the Alamo. Are spent amang the lasses, O"
Robert Burns was very much at one with nature and this was evident in much of his work. Look at these lines from his epic poem Tam O' Shanter. 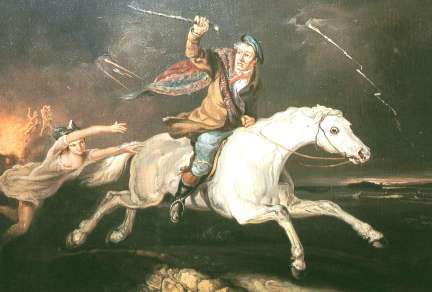 Much of Robert Burns's poetry, like Tam O' Shanter, was written humourously about his own situations and experiences. This humour stands the test of time and it is as funny today as when it was written more than 200 years ago. Living conditions were extremely harsh for the majority of the population and that Burns was able to see humour in his situation at all makes his work even more special. Another lesser known facet of his work was his bawdy poetry, the Merry Muses of Caledonia, which was actually banned in the UK until 1964. In these more liberal times it does not seem quite so bad but it used just about every swear word known at the time and some that Burns probably invented! Burns could never have been accused of being perfect. He was both very handsome and very much a lady's man. His early life was a procession of affairs and he had at least three illegitimate offspring. 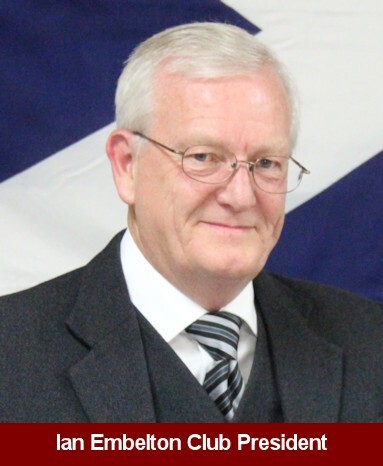 He got in trouble with the Church of Scotland through his refusal to obey the moral code of the day. This led him to write poems about the hypocrisy of this situation like "Holy Willie's prayer". Eventually he married his "Bonie Jean" (Jean Armour) and finally settled down to raise a family. Burns was born into farming but after a few years at the plough he got tired of the constant battle to scratch a living from the soil and he began to look for another way of making a living. His poetry had brought him some success. It had also allowed him to make some influential connections that he could now call upon. Through these he managed to secure a job as an exciseman or gauger. (See Robert Burns Exciseman). This was a well paid job that let him support his family in a way that he had not been able in the past. It also offered a pension that would help with support for his family when he was gone. He moved to Dumfries and bought a sizeable house there but unfortunately the years of hard work in all types of weather had already taken their toll. Burns became ill and died of what was probably rheumatic fever in 1796 at the age of only 37. Genius that he was, one can only speculate about how great he would have become and what more he could have achieved had he not been taken so young.